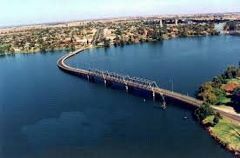 The Yarrawonga Bridge Club is hosting its congress 21-23 July at the beautiful Yarrawonga Mulwala Golf Club Resort. This great venue combined with friendly hosts make this a congress not to be missed. Come and join us for a wonderful weekend. The congress begins with the Aline Cooper Welcome Pairs on Friday night (at 7.30pm). This will be followed by the Yarrawonga Swiss Pairs (12 noon) on Saturday and Swiss Teams (9.30am) on Sunday. Your convenors this year are Jan and Tom Hackett who can help you with entry and general enquiries. Directing services will be provided by Martin Willcox. Tea, coffee and refreshments are provided throughout play with a substantial afternoon tea on Saturday. Meals are available at the club. Accommodation is available at the golf club or nearby. For accommodation at the venue, please check their website. Villas, apartments, suites and cabins are available. For other accommodation please contact Yarrawonga-Mulwala Tourism freecall on 1800 062 260.